I’m in a hotel in Pasadena, with fires just above us. I just heard one guest, probably one of many evacuees filling this hotel, say: ” I don’t pay attention to the media, they don’t know what is going on.” Sure know how to write headlines though! This entry was posted on	August 31, 2009 at 1:12 pm	and is filed under Uncategorized. 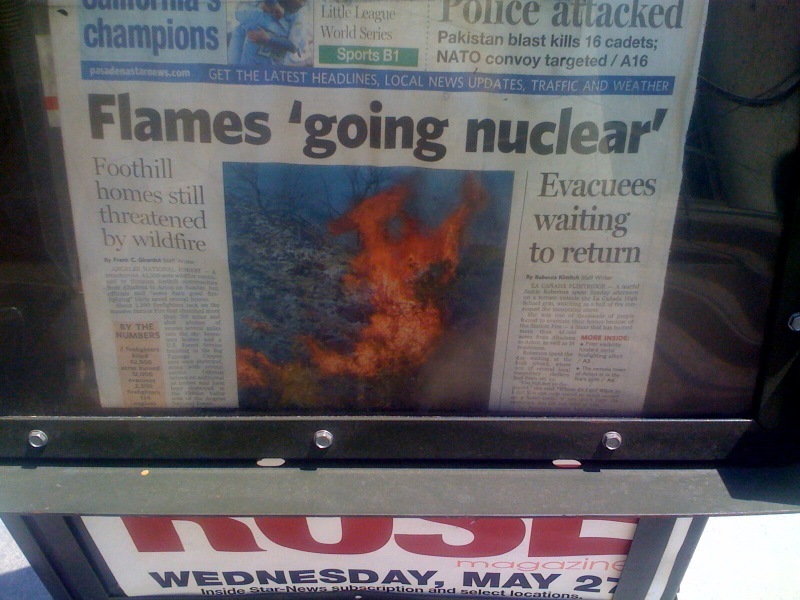 That is by far the worst headline I’ve seen about this fire. Should be unbelievable, but sadly it isn’t anymore. There has been better, more substantive coverage in the Times for anyone who reads it anymore.